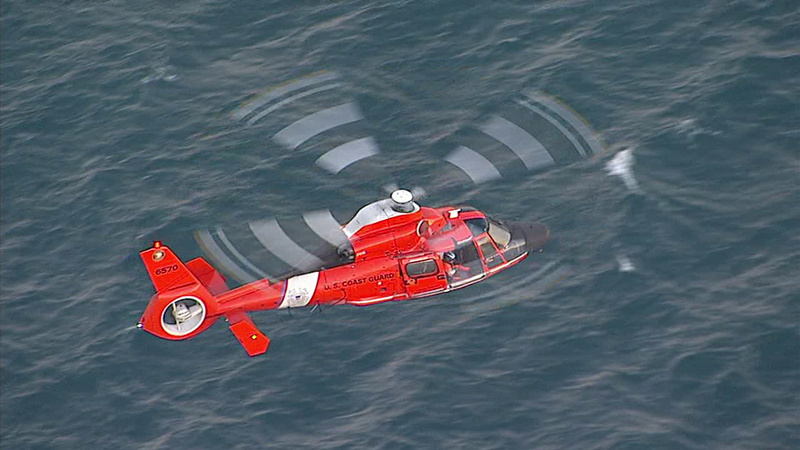 RANCHO PALOS VERDES (KABC) -- A search and rescue operation was launched Monday evening after reports of a swimmer struggling in waters off Rancho Palos Verdes, officials said. The incident was reported about 6:53 p.m. by witnesses on a beach just west of Trump National Golf Club, according to the Los Angeles County Fire Department. The swimmer was described as a man in his mid-20s with multiple tattoos, wearing black shorts and black shoes, the Coast Guard said in a statement. He was last seen swimming with a pool flotation device. Two fire department divers searched the water in the area of Portuguese Bend, officials said. Several boats and a Coast Guard helicopter were also deployed. The search was later suspended and is expected to resume at 7:30 a.m. Tuesday. Anyone with information about the incident is asked to call Coast Guard Sector Los Angeles-Long Beach at (310) 521-3801.